It’s very fashionable to be a bit late to a party, so it’s totally fine for me to share this idea from Michele at ConfessionsofParenting.com for our #feelingthankful theme. 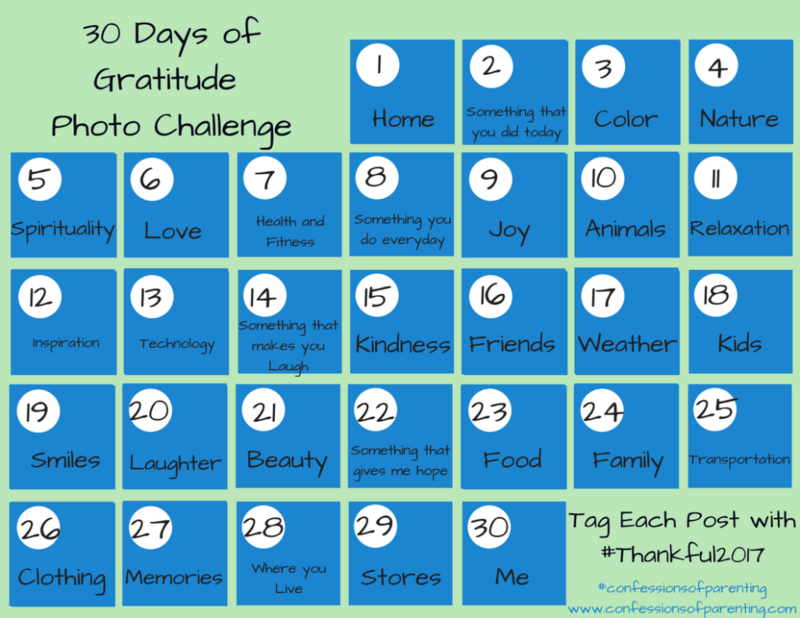 Michele has created a gratitude calendar for the whole month of November and you can join in or just download it for your own family fun. For each day there is a one word prompt, for you to think about something you are grateful for in that category, or see if anything happens that day that you feel gratitude for. You can share your thoughts, photos, drawings etc and perhaps be inspired by other people’s contributions too. It’s a really lovely way to reflect on how lucky we are, and how much in our lives there is to be grateful for. A huge thank you to Michele for letting us share her printable calendar – check it out!